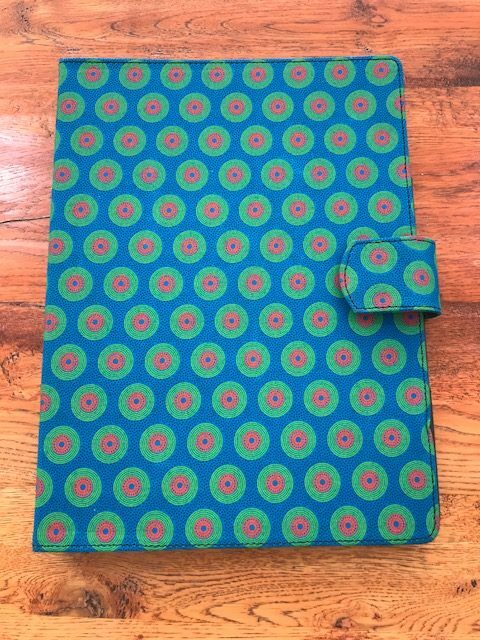 A4 Shweshwe Conference Folder, these african shweshwe fabric folders are available in a large selection of shweshwe designs and colours, these traditional shweshwe fabric conference folders are beautiful gifts for overseas incoming conference hand-outs! the inside of the folder is made from PU but can be made in leather and can be customised to suit your conference requirements, i.e. paper holder, business card holder, pen loop, usb holder, cd holder.